Football Manager is one of the most popular games to play in 2019. In fact, there aren’t very many games based on footie, unless you look at NoviBet as a live sports betting option. Football Manager is the ideal game to be playing if you are planning on placing real cash wagers on teams. But before you do that, ensure you have taken every precautionary measure to learn how to manage your won football team. Here is how you play football manager like a pro. Sports Interactive underwent some changes in the Football Manager 2019 game. Additional features have been added to the game to allow for more accessibility for players. In order to play like a pro you will need to understand these new additions and follow some simple guidelines. You will need a strategy. How you choose to use your tactical style will come with time but you should think ahead and out of the box. To be a football manager is a complex role; it requires significant attention, so read the rules before creating your team for the best possible strategic game play. You can find some example tactics online to boost your introduction to the game. These are also helpful as they have been tried and tested. Next you will need to choose your playing style. The playing style is how your team will play future matches. This includes formations, attacking methods, balancing your central defence, midfield, flanks and central attacks. Focus on your players abilities both on and off the field and train them in accordance to these dynamics. This will include looking into your player’s attributes, traits and personality to make informed decisions on how you will play which ultimately defines your playing style. Not only are you required to form a strategy that includes each one of your players, but in order to be a successful football manager you will need to handle your staff with finesse. Take note of each ones abilities and roles. Your staff includes coaches, scouts and physiotherapists. Training your team is one of the hardest parts of the game. Here you need dedication and personal touches. Focus your time and energy on this and keep this in mind when you are squad building. Playing football is one thing but playing Football Manager is quite another thing entirely. Learn to play one of the greatest football games in history much faster when you take these factors into account. Although this game requires time an attention to detail, you can learn so much more about football than you thought possible. This is great for live sports betting as you get to understand the workings of the game and players much better. 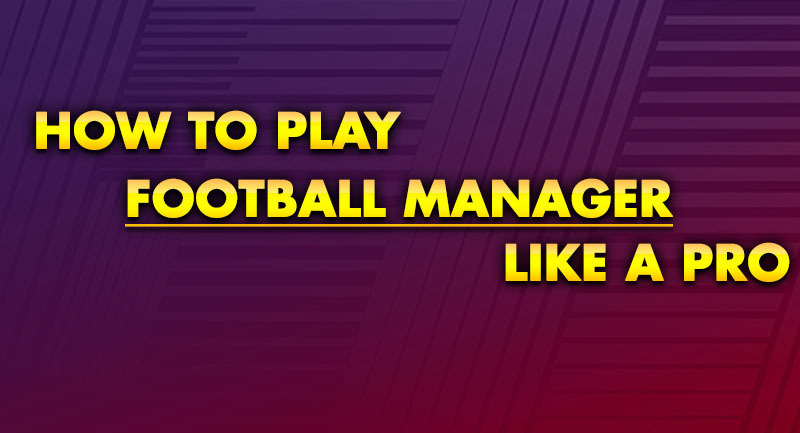 Take your time with Football Manager and expect to manage your team like a professional before FM 2020 comes out! We expect it to be the best one yet for sure! Football Manager is one of the most popular games to play in 2019.